Chicken is one of the most loved foods in the entire world. Truly chickens are fantastic creatures. They can turn table scraps into delicious, nutritious, protein-packed, hygienically sealed snacks – otherwise known as eggs ;). For quick and easy steps, dive right in the details with a brief infographic guide below! What temperature to deep fry chicken? 350°F to 375°F (117°C to 191°C) is the best temperature for deep frying chicken; some oils smoke at higher temps, and at lower temps the oil can drop too low when you add the chicken to the oil. Smaller cuts (wings, etc) tend more towards the 350°F side of the spectrum while the larger pieces (thighs, breast, whole chicken) tend more towards the 375°F level. On most deep fryers without an actual temperature gauge, this would be medium-high heat. If you’re not sure on your deep fryer, consider using a deep-fry thermometer for the first time to get an idea. If you’re frying room temperature pieces of chicken, you’d stick to the lower ranges of time as stated below; frozen chicken would be at the higher end of the ranges. About 10 minutes at 375°F (191°C); check the larges wing for doneness – clear juices and nice white meat mean you’re done and ready to feast. How long to deep fry chicken legs? About 15 minutes at 375°F (191°C); to check for doneness, slice open the meatiest portion of one of the larger legs and check for clear running juices. If that’s what you see, let them cool somewhat and then enjoy! See our full guide for how to fry chicken legs here. How long to deep fry chicken breast? About 14-17 minutes at 375°F (191°C); if you want to cook them faster, then slice them into strips and cook for 6-8 minutes instead. This is assuming you’re using boneless skinless chicken breasts. How long to deep fry chicken tenders? A heaping plate of fried chicken tenders and french fries. About 6-8 minutes at 375°F (191°C); most chicken tenders are pre-cooked from the store and if this is the case, as long as the outside is crispy you are good to go. If you made them yourself, make sure the juices run clear and there’s no red at all. If there is, simply cook for 1-2 minutes longer and check again. How long to deep fry chicken thighs? About 15 minutes at 375°F (191°C); to check for doneness, remove the largest thigh and using a knife and fork open the meatiest portion of the thigh and check to make sure the juices run clear. Deep fried chicken thighs are one of the best parts of the chicken! You’ll want to move wings from their top spot once you’ve tried these! How long to deep fry chicken nuggets? About 4 minutes at 350°F (191°C); most nuggets come precooked, so as long as the outside is a nice crispy golden brown they should be suitable for eating! How long to deep fry a whole chicken? As noted in almost all of the ones above, the best practice is to find the largest part of the piece of meat you are frying since it stands to reason the largest piece will take the longest to cook. Once you’ve found the largest piece, cut it open – be aware it will be VERY HOT! Use great caution, and don’t put your eyes directly above the piece either, because sometimes steam will be released and go…straight up into unwary eyes. Once you’ve cut it open, look to see if the juices are clear; if you see any hint of redness in the juice or meat, cook it a bit longer. Unlike beef, which can be served rare (partially bloody), chicken blood should never be ingested. It can cause severe sickness if it is! What is the best oil for deep frying chicken? Some oils have a smoke point under 400°F, and if you’re cooking the chicken at 375°F you might hit that smoke point and end up setting off the smoke alarm in your house. Smoke will also negatively affect the taste of the chicken. Some oils have a strong flavor that can get transferred to the piece of meat you are cooking; this can also be less than desirable. With these points in mind, the best oil for deep frying chicken is peanut oil since it has a high smoke point, and no flavor transfer. Vegetable shortening and lard are also good options. See here for our breakdown of what oil is best to use in a deep fryer. If you are breading chicken pieces before deep frying, be sure to do so only just before cooking. If you don’t, the bread crumbs will become soggy from the egg mixture (often whole egg mixed with all-purpose flour and other ingredients) or whatever you’ve coated the chicken with in order to make the bread crumbs stick. This will affect how the pieces of chicken turn out when done! If you want the very best results, dip the chicken into the egg mixture, then coat with bread crumbs and place the chicken gently into the deep fryer for the time as stated above (varies per cut of chicken). Placing the cooked chicken onto paper towels after cooking can allow some of the cooking oil to be removed for a less oily experience. Salt and or pepper make great toppings and will really bring out the flavor of the cooked meat; southern fried chicken is an all time favorite! Sitting and having a scrumptious poultry dinner is always a great way to end the evening. However, it takes the right skill to get the meat tasting its best and so you may find that preparing the food may just be a daunting task for you to handle because not many people know how long to fry chicken legs in deep fry and you might just be in that same category. Therefore, here is a great instruction manual to follow so that your deep fry chicken legs can be really mouthwatering and tasty. Because of course the main thing is for you to get your food tasting finger-licking good and not like some hastily prepared meal on the run that lacks taste as well as flavor. With the preparation such as washing, coating and the actual frying of the meat reaching completion stage, it can take up to 45 minutes to 1 hour in all – the actual cooking time is only a fraction of that however. About 15 minutes, at 375 °F (191 °C); Check for doneness by cutting into the meatiest part of the drumstick. Clear juices and nice white meat indicate doneness. Your ingredients are very important to work with, especially if you want your bird legs tasting great. Therefore, one of the first things you must do before preparing the meat is for you to gather your ingredients in one place so that they are in easy reach. See a list of ingredients below that you will need to pull your tasty dish off. If you are a beginner cook not really knowing how long to fry chicken legs in deep fryer, it is better for you to allow the legs to simmer in some milk for about 15 minutes before putting it into the frying pan. This method will allow the chicken struts to become moist and lose their hardness. When the parts are simmered in milk, remove them and allow drying for up to 20 to 30 minutes to take place before applying beaten egg wash coating with flavored breadcrumbs. If you prefer, you can coat the legs with flour dusting dipped into your favorite batter. The chicken pieces can start frying immediately after batter coating is done. Once you complete all the above, turn your oven heat to 190 and then place chicken parts in. If you like, you can cook at 375 for 5 minutes and then cook at a decreased temperature at 300 to not overcook the meat for the remaining 10 minutes. Continue frying until the legs start turning a deep golden brown. Frying should take about 15 minutes to complete. When done, enjoy your meal. Deep frying chicken parts can be a hassle, especially when you are doing it for the first time. Knowing what to do to have your food done well will make your meal more enjoyable. Follow the following tips when doing deep frying and you will find the going much easier for you. The most important equipment you will need is a deep fryer that will make your pullet legs come out looking and tasting great. A good deep fryer will hold the heat well so that the meat can become golden brown in the prescribed time. 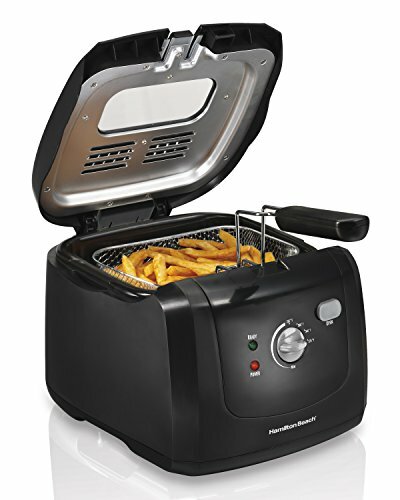 The fryer usually carries a basket or strainer that you can safely hold with your hand. The handle is made of non-metal material and the apparatus has a feature that makes it possible for you to save and store any remaining oil that you might want to use in the future. Although a deep fryer is safer and better to use, if you are without one you can use a large enough pot that has enough room in the bottom to carry out the process of frying the foul legs. Just try not to fill the pot too much because you might just cause what is inside of it cooking to start boiling over. The cooking oil you choose can make plenty of difference to how your fried food taste. Extra Virgin oil might be able to do the job but most chefs prefer using vegetable based oil to bring out the neutral flavor it has. When the neutral flavor comes out, the food will shine and makes it great tasting as well. Without properly seasoned flour to coat the chicken legs with, you are risking losing taste when your cooking is complete. In addition, without the help of the flour, the batter will not stick to the meat. The two main ingredients you must add to the flour are pepper and salt. Still, to bring out the taste in the meat better, you can add a few more ingredients such as scallion, thyme, paprika and so on. Try not to overdo the seasoning of the flour though. If you have the perfect batter using to prepare your fried legs, your meat will come out looking all crispy and glowing. A good batter consists of baking soda, flour, salt, malt vinegar and water. Always remember to use fresh ingredients or otherwise your food will not always come out the way you want it. If overcrowding occurs, the pot’s temperature will be lowered and hence requires a much longer cooking time, which might remove tastiness from the meat. The result will be chicken legs that are not deep fried properly. In addition, if the pot is overcrowded you will have a problem moving around and flipping the meat on the other side while cooking is going on. Knowing how long to fry chicken legs in deep fryer will help you to cook your poultry meat leg parts better. Your food will come out feeling crispy and looking really scrumptious.